[Bridging] Becoming the Bridge for Nepali small farmers to sustainable life! There are still many small farmers who are fighting against poverty. Under the limited circumstances, they have no choice but farming in rural area. Please be the Bridge for them! 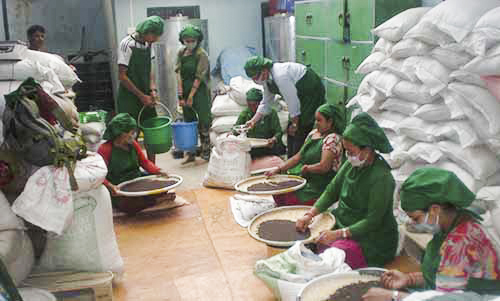 Agriculture is biggest industry in Nepal, which provides livelihoods for 68 percent of Nepal's population, accounting for 34 percent of the GDP. Nevertheless, small farmers struggle to have a stable income with farming. They have limited access to high-quality seeds, new technologies, and market opportunities. In particular, farmers in rural and mountainous areas have difficulties to harvest enough since the land becomes infertile. Declining agricultural production has depressed rural economies and decreased household incomes. According to 2017 Global Hunger Index, Nepal scored 22 points out of 100. Its score has dropped gradually since 2001, however it is still serious. Mountainous areas are told as the poorest part of the country, where rainfall is scarce, and the land is not conducive to farming. Furthermore, over 60 percent of Nepali children under the age of 5 years suffers from chronic malnutrition, or stunting. Organic World & Fair Future (hereinafter OWF) is a social enterprise which established in 2008. It supports local small farmers to increase organic agricultural productivity, and facilitate access to markets for their sustainable future. 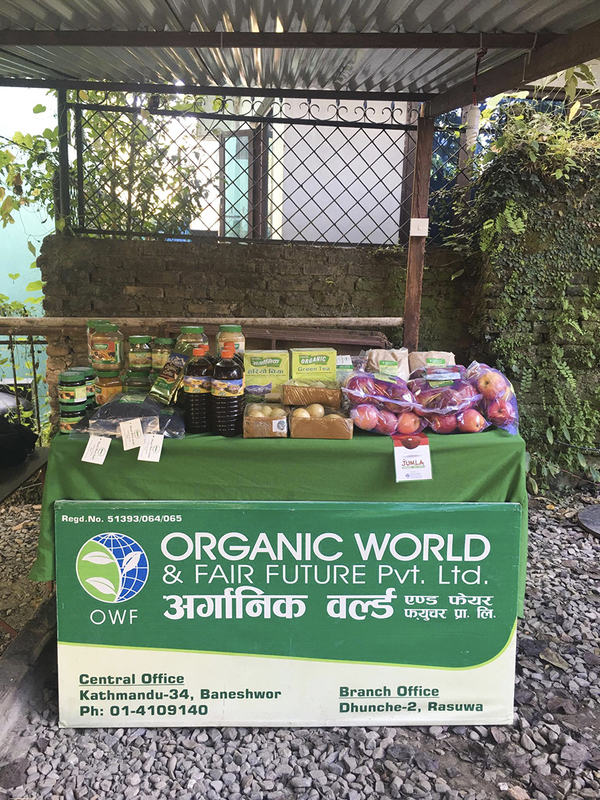 OWF is a member of Fair Trade Group Nepal and Mountain partnership (of Food and Agriculture Organization of the United Nations). OWF staffs assess the quality of farmers’ product. After packaging, it is delivered to the market. Through cooperatives and non government organization groups across the country, OWF has formed partnership with small farmers who tackle the market barrier due to tough competitiveness or lack of their resources. Small farmers focus on harvest good quality of product from apples to spices. Then OWF brings them to its processing factory using its transportation such as porter, truck and mini cargo van. 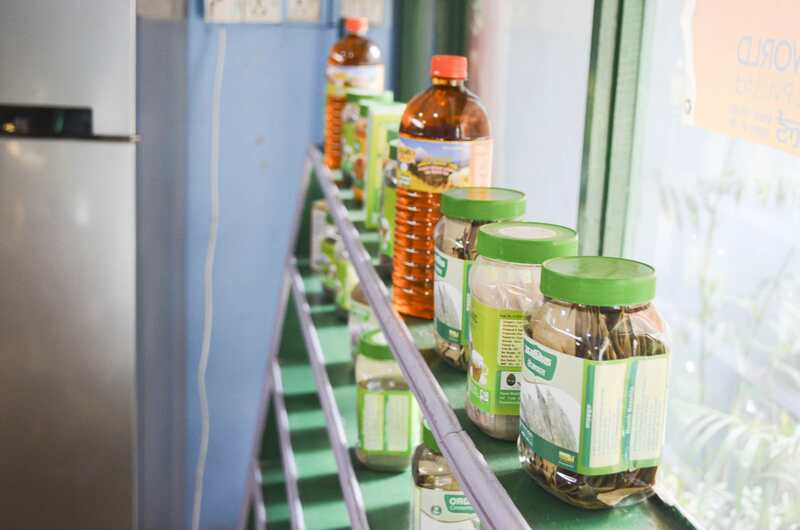 After assessing the quality and packaging manually, OWF distributes the products to its own retail outlets. 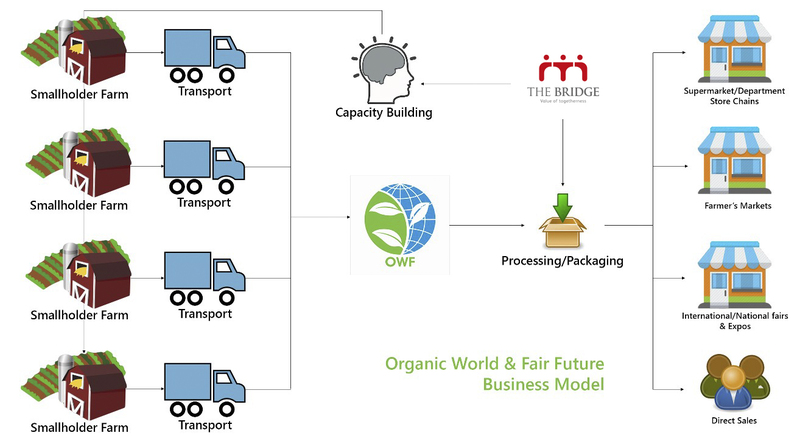 OWF is a bridge linking between small farmers and customers. OWF does its best to enhance the value of organic products by studying new technologies, fresh package methods, and marketing. In addition, OWF participates in national / international exhibitions to increase product or brand awareness. 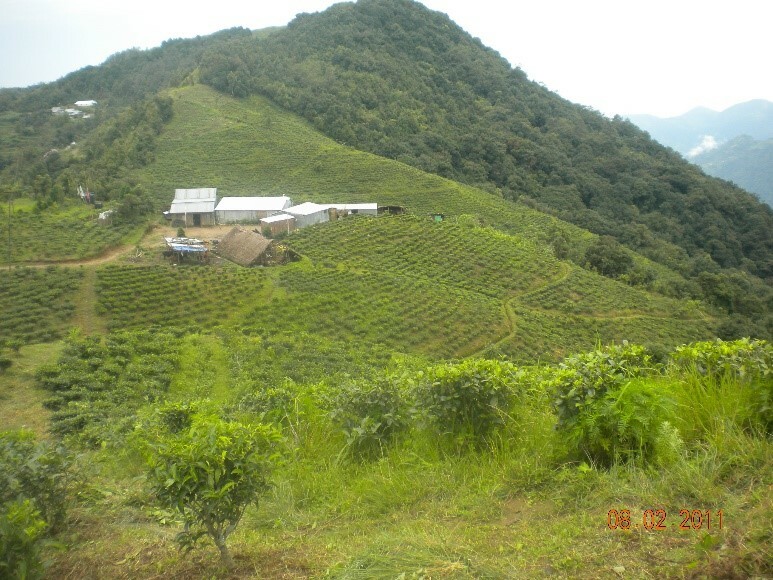 Project Goal Small farmers in rural and mountainous area generate a stable income to support their families. Situation The land is not suited for farming, and small farmers has limited opportunities to access the market due to poor supply chain. Solutions It provides practical education programs such as organic farming methods to small farmers and helps their products distribute to retail outlets or supermarkets after well-processing. Fund Usage Plan Package machine & materials purchase and Education programs. OWF offers a variety of capacity building programs to small farmers, introducing new farming technologies and best practices. Recently, OWF facilitated a skill development training session on organic ginger farming, processing and marketing. The outcome of this single training program was 34 small farmers were trained (60% of which were women). Small farmers could gain the fundamental skill required for ginger processing, particularly the washing, peeling and slicing of raw ginger using a semi-automatic machine. Besides, these training programs are helpful to address any issues and acquire solution-oriented attitude to small farmers. OWF actively promotes female participation in its education program, partnerships and training session. OWF provides over 25,000 small farmers from remote mountainous area, and among them, about 70 percent of participants are women. OWF keeps track of the percentage of female attendance to ensure a positive ratio. 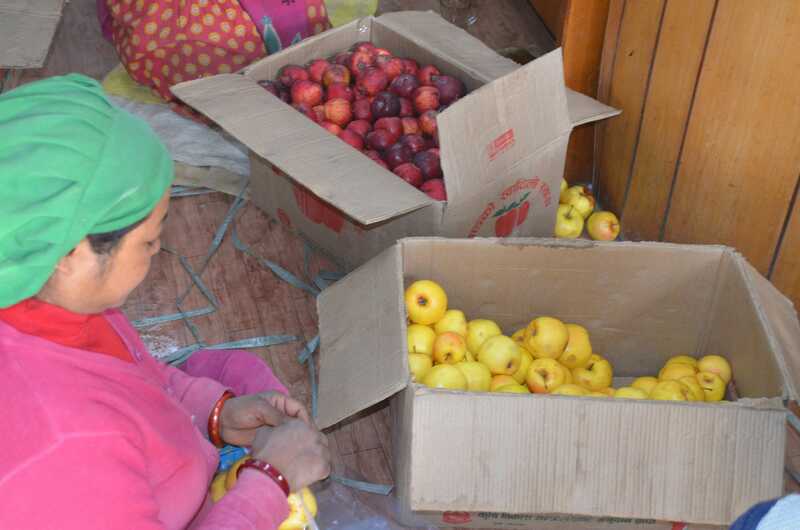 OWF helps small farmers sell their products with fair prices at the market. It links to increase of farm employment and farming volume, resulting a steady flow of income and livelihood improvement. Moreover, Small farmers living in rural Nepal struggle to break out of poverty cycle by building resilience within farmers communities. OWF supports them to give essential education programs about organic farming method and provide adequate supply chain to markets. 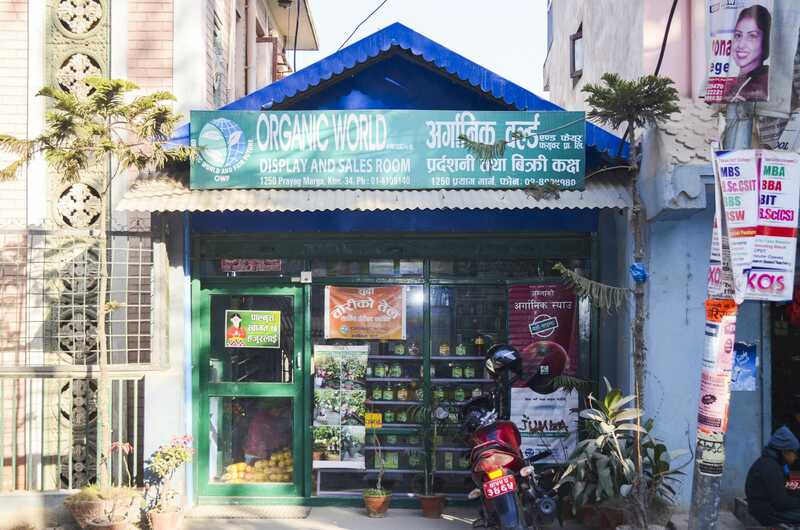 OWF retail outlet in Kathmandu is displaying the products of small farmers. 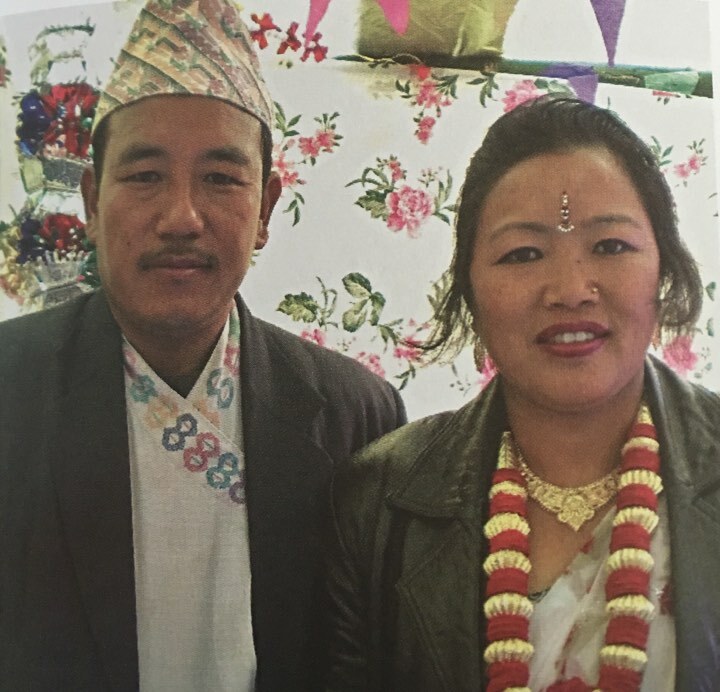 Narayan Rai moved with families from his home in Bhojpur to Singhadevi VID north Morang in high altitude of 1,700 meter because the land was not fertile enough to support his families. Narayan started farming organic tea and then got certified as organic product. However, Narayan could not access any market. OWF offered Narayan to become a supply partner and distribute his organic tea to several supermarkets using OWF’s supply chain. Now Narayan feels very satisfied that he can support his families. giving opportunities for small farmers to promote and sell their products. With the impact donation, $3,000 from the TBI Crowdfunding project, OWF will purchase a package machine and materials to meet the market demands. 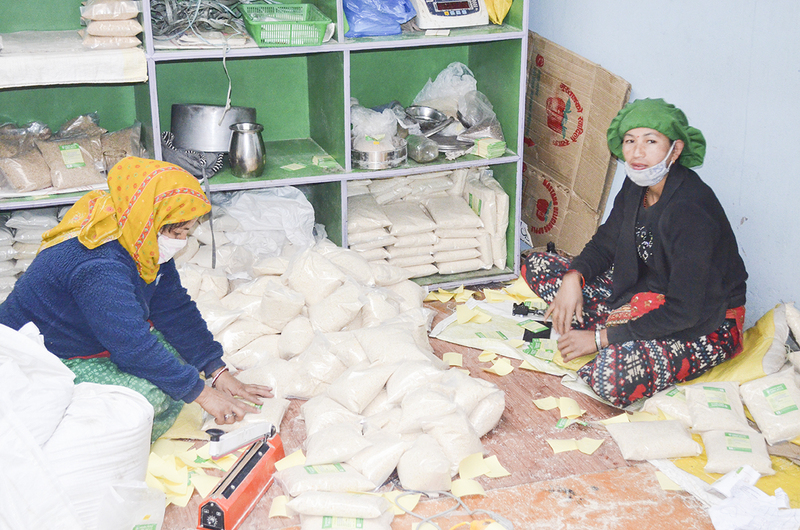 Currently steady supply is hindering by limited resources because the products are packed by hand. And the rest will be used for small farmers to build on their capacity and to promote their products. OWF provides education program to approximately 25,000 small farmers for organic farming and its process. It brings new hopes to small farmers in Nepal. Please show your support to them! 네팔 현지 소농이 안정적인 수입을 얻어 지속 가능한 삶을 살 수 있게 합니다. 저는 지금까지 26년 동안 축복과 사랑 속에서 잘 성장할 수 있었습니다. 2016년과 2017년 두 차례 네팔 현지 적정기술 프로젝트에 참여했습니다. 당시 산 속 오지에 위치한 럼중(Lumjung)과 리 가운(Ree Gaun) 두 곳을 방문했는데, 네팔의 산악지역은 땅이 척박하여 농사짓기 어려울 뿐만 아니라, 힘들게 키운 작물을 소비자에게 판매할 도로 인프라 조차도 제대로 설치되어 있지 않았습니다. 이러한 문제점들 속에서 OWF(Organic World & Fair Future)은 네팔 오지의 소규모 생산자와 소비자를 이어주는 다리와 같은 역할을 하며 현지에 사회적 임팩트를 창출하고 있습니다. 희망을 수확하는 네팔 농부들의 자립을 응원해주세요. 기쁜 제 생일, 여러분의 참여를 통해 그들의 삶이 변화할 수 있습니다. 감사합니다.